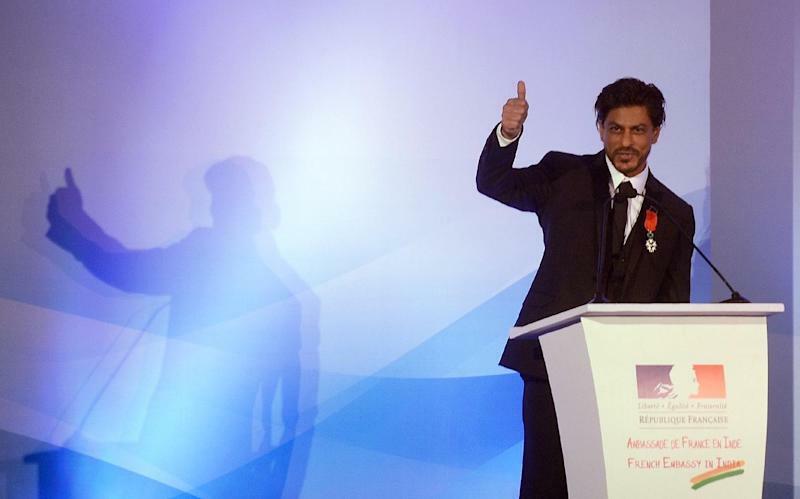 Bollywood superstar Shah Rukh Khan was on Tuesday bestowed with France's highest civilian award for his contribution to cinema. The actor was honoured as a "Knight of the Legion of Honour" by French foreign minister Laurent Fabius at the Taj Mahal Palace hotel in India's entertainment capital Mumbai. "There are different moments in life that make you feel that you are on the right track. This is one such moment," said Khan, 48, one of Indian cinema's most recognisable faces. Fabius said the French people hailed the actor's "talent and generosity, which arouse the enthusiasm of a vast audience across the world, transcending cultural and historical differences and bringing together people from all walks of life to his films". Fellow Indian superstar Amitabh Bachchan received the French award in 2007.